At Community Bridges, we’re proud to provide the START service model across the Granite State. START stands for Systemic, Therapeutic, Assessment, Resource, and Treatment. First developed in 1988 by Dr. Joan B. Beasley and colleagues in Massachusetts, START provides services for individuals ages 6 throughout their lifespan who have developmental disability and co-occurring mental or behavioral health concerns. Only seventeen states in the U.S. provide START services, and New Hampshire is one of the first to offer these services statewide. What Does START Mean to Your Family? Supporting families and individuals with disabilities throughout a lifetime is what Community Bridges does. But to serve all individuals who need help, we partnered with the Bureau of Developmental Services and University of New Hampshire Institute on Disability to establish NH START services. This model of offering services is integral to Community Bridges’ team approach to supporting families of individuals with intellectual or development disabilities, and behavioral or mental health issues. As with Community Bridges, START’s philosophy is that services are most effective when everyone’s on board, participating in treatment planning and decisions. In other words, the family, and the individual receiving services are part of the team, along with any professionals working with the family or individual. 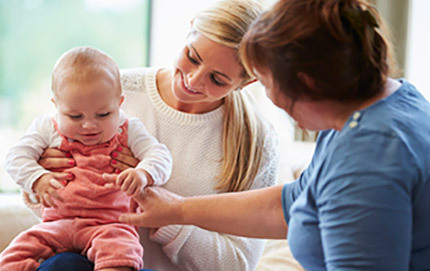 There are a number of services offered through the NH START program and the family and individual make critical decisions about what supports are the most helpful. The difference with NH START is that services are offered on a short-term basis in conjunction with ongoing services, often during a crisis, to get that person back on track with the rest of their individualized service plan. A START coordinator may also help treatment teams (and remember, your family is an important part of this team) anticipate, prevent, and make a plan for what to do in a mental or behavioral health crisis. Crisis planning is a core service that NH START provides every individual enrolled in the program. At Community Bridges, we also collaborate and coordinate with other service providers and resources, taking the frustration, worry, and fear out of finding mental health supports for your family member, and supporting your family. Once enrolled in NH START, there are START Coordinators on-call 24/7 for support and NH START is a statewide program and Community Bridges employs START coordinators who are located in all 10 Area Agencies across the Granite State. Wherever you live in NH, you can enroll in NH START and have a local START Coordinator if you or a loved one experiences an Intellectual or Developmental Disability along with mental or behavioral health concerns and are eligible for services through the Area Agency. For more information about NH START, contact Community Bridges at (603) 225-4153. Toll-free: 1-800-499-4153.